Teaching author's claim? 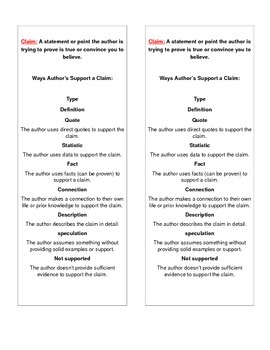 Have students identify what type of evidence the author provides. This item is common core aligned!